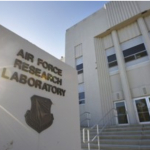 An office at the U.S. Air Force Research Laboratory is inviting business and higher education organizations to submit applications for a funding program that will support fundamental research efforts to provide airmen with new technology platforms. The Air Force Office of Scientific Research issued a broad agency announcement on Thursday calling for proposals on 40 scientific areas that include aerospace, propulsion, energy, autonomous technology, space situational awareness and cybersecurity. AFOSR will accept ideas from small businesses, public, private and state controlled institutions, for profit organizations and nonprofit organizations.